These are the components of the Steam Locomotive Engine and Coal Car. The trucks and drive wheels are facades. They will be lite at night. Stripped to the bare bones. The remaining body is ripe with places to bolt, weld and strap our designs on. Heavy duty strength makes this vehicle a workhorse. We build the superstructure out of channel or angle iron. The Boiler will stick out about 36 inches from the front of the Cushman. We will use a Honda 2000i generator to power lights, horns, PA and sound system. The Honda will be on a rack built in front of the front end and fitted into the front receiver of the Cushman. The Boiler will be constructed of loops of PVC with chicken wire on top. Then we frost some clear plastic and wrap it over the chicken wire to defuse the lights from inside the Boiler. On top of the plastic we put some silver sequin Lycra material. 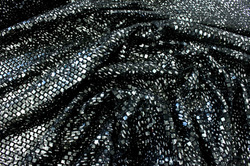 During the day the Boiler will shimmer from the sequins. At night, light will get through the Lycra so that the Boiler will appear to be orange or red HOT! The Coal Car and Cab are framed in in plywood and painted. Lycra material that will be the skin of the Boiler. Shimmers in the day and night. With red and orange lights, some that blink, on the inside of the Boiler, the Boiler will appear to be red hot and glowing at night! Next we add the Drive Wheels and trucks.